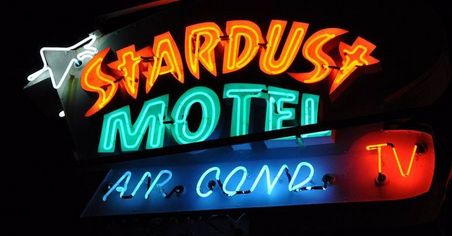 Stardust Motel is an authentic Doo Wop property. The Stardust Motel in Wildwood is an authentic Doo Wop property that has been helping families make the most of their Wildwood vacations for over 40 years. From the vintage neon Stardust sign to the funky shaped swimming pool, you will love the mid-century design all throughout the property. Families have flocked here over the decades for the exceptional customer service and knowledge provided by the friendly staff. The Doo Wop style of design in archtecture began in the early years of the 1950s while America was experiencing a dramatic cultural shift that defined the start of a new era. To learn more about Doo Wop architecture click here.